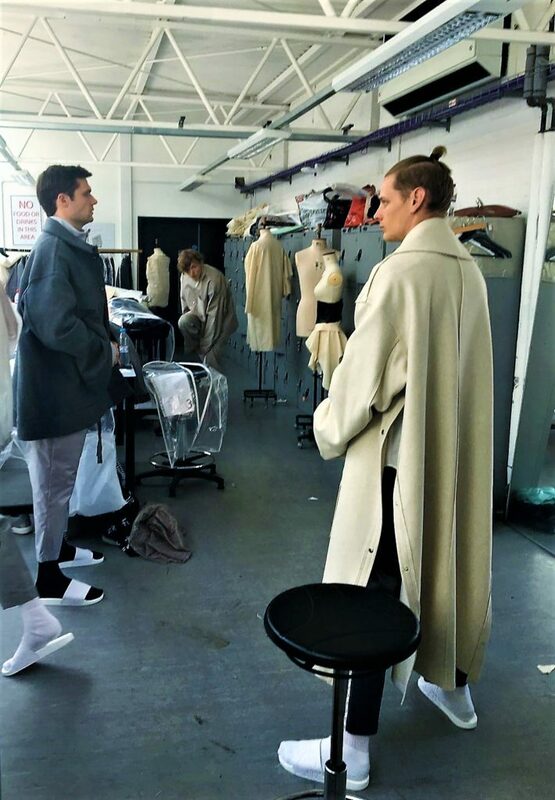 June hosted the event every fashion student had been working tirelessly towards: Graduate Fashion Week. 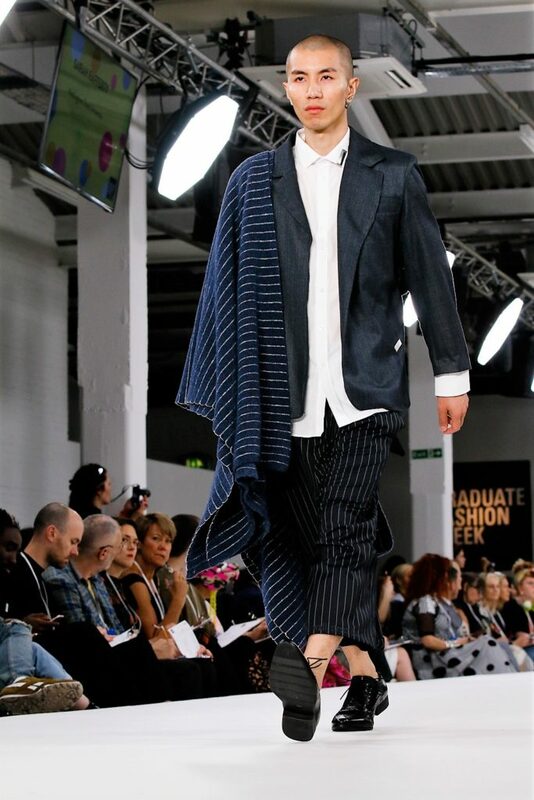 A hive of industry related activity; the main focus hones on the University catwalks and presentation stands showcasing the talent and hard work of the industry’s future inhabitants. 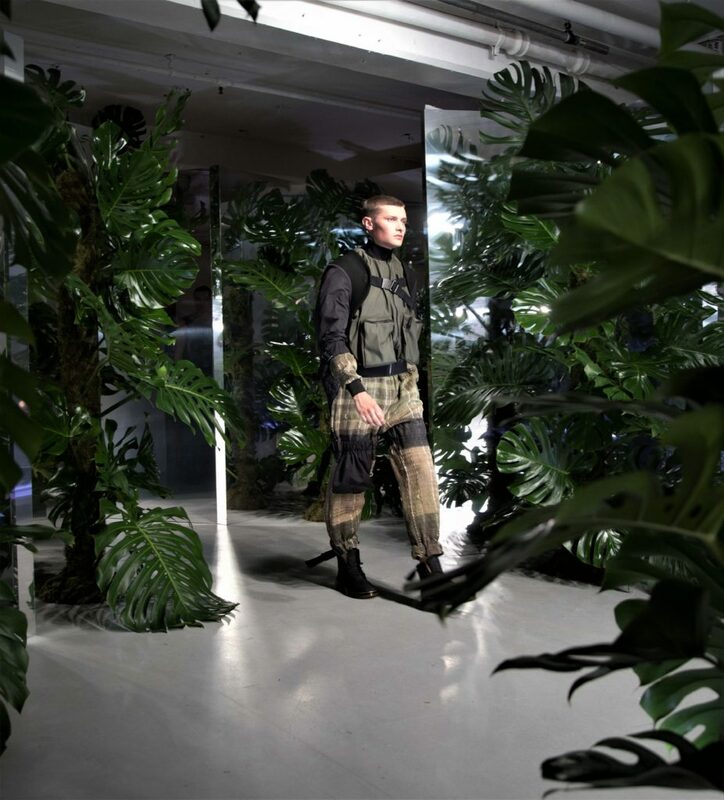 So who are the ones to watch for the future of LMFW? 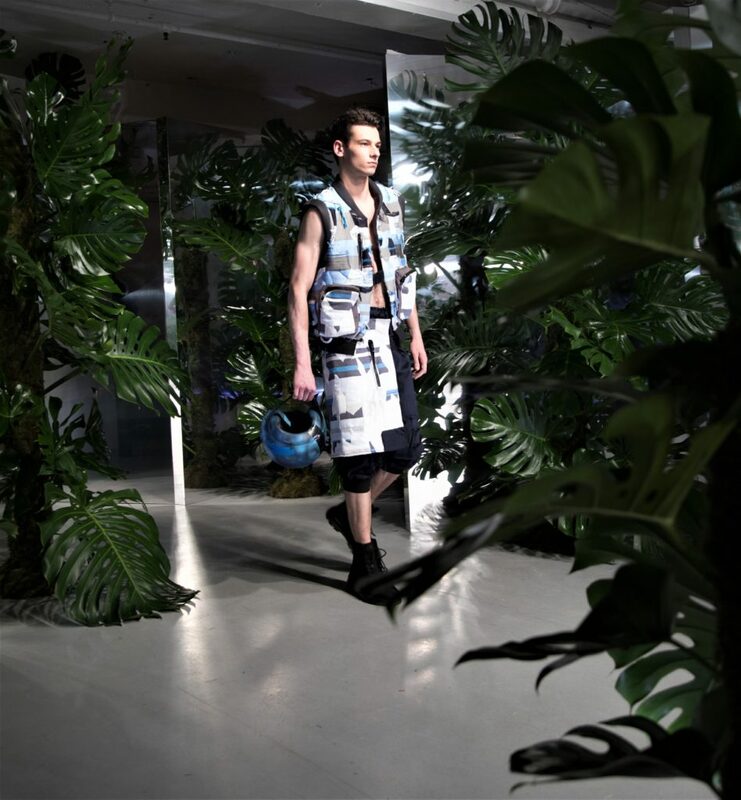 Four very talented individuals with their own inventive take on the modern Gentleman’s style have our backing. 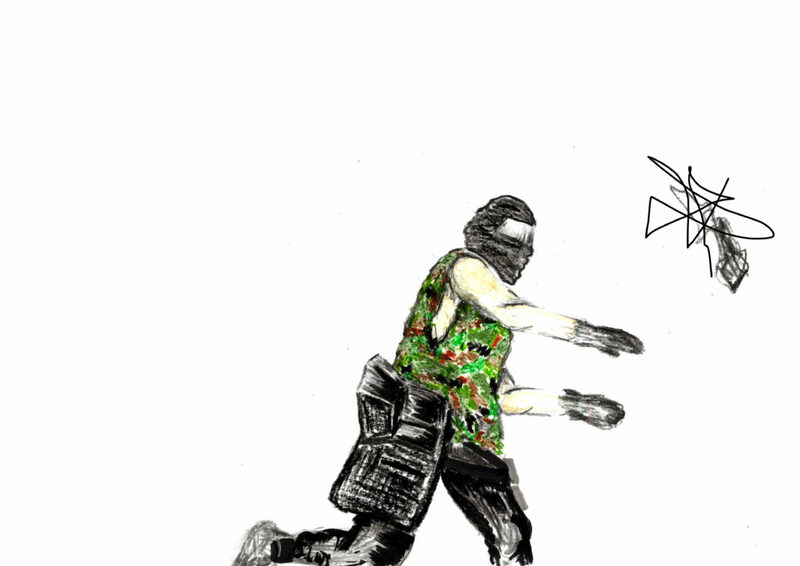 The purpose of fashion is to express, attract and to be controversial. 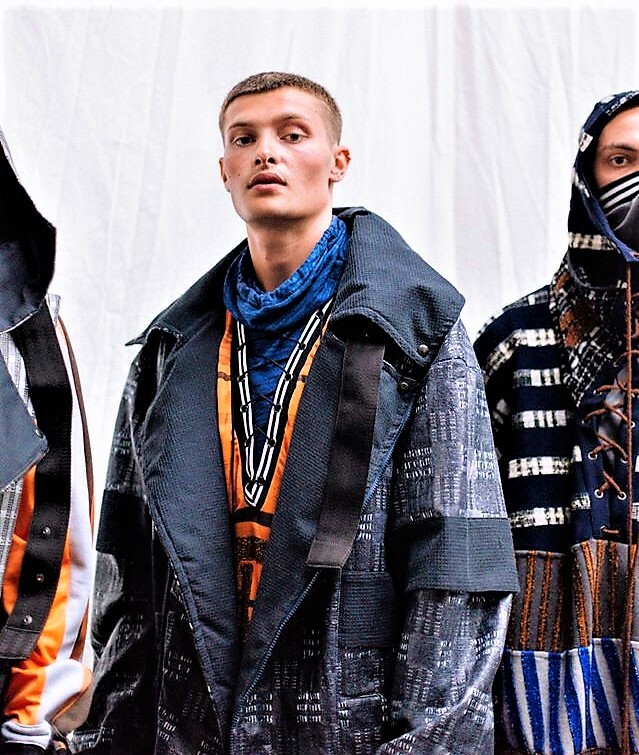 A politically driven collection of woven textiles and digital prints by Chelsea Murray caught the attention of many from the industry for her new take on traditional camouflage and utility hardware. 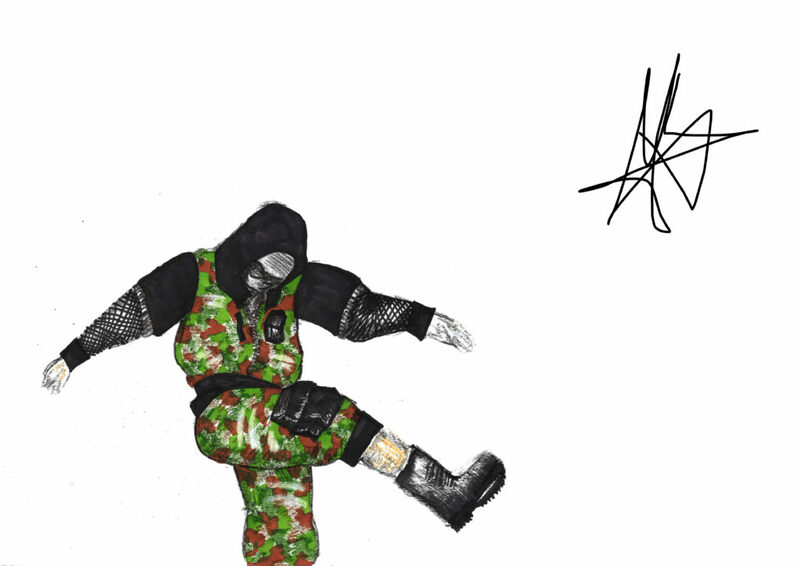 Chelsey’s personally named uniform for the revolution specifically stresses disillusionment in politics and its current instability. 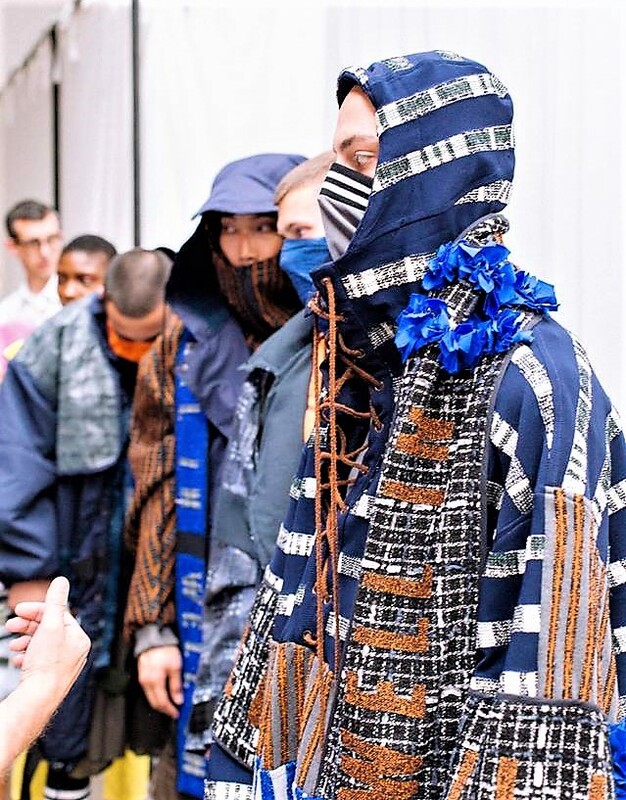 From experience, I am aware of the literal blood sweat and tears involved in creating a collection, the variety of hand woven fabrications makes the work of this gifted Fashion Textiles Student from Middlesex University even more impressive. 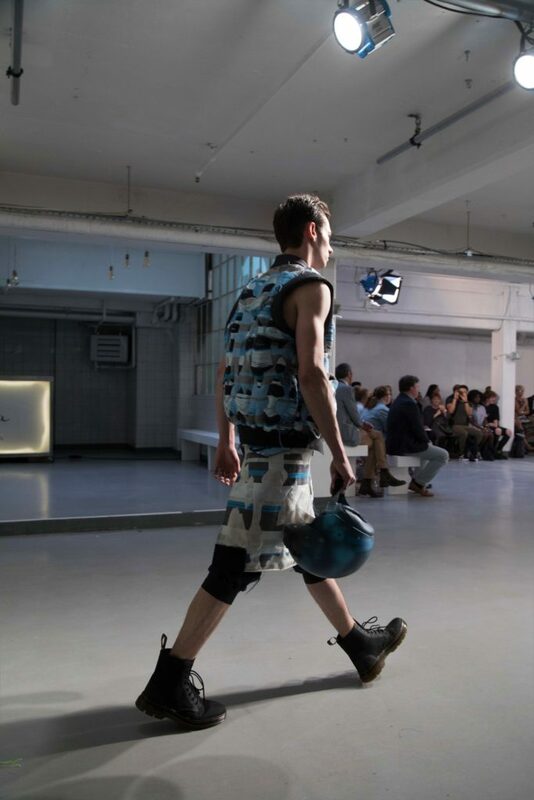 Here at Off The Cuff LDN, we particularly love Chelsey’s pale blue, grey and black jacquard camo take on the classic utility vest. The tactility of the piece adds an extra dimension, creating further desirability to this perfectly crafted garment built for investment. 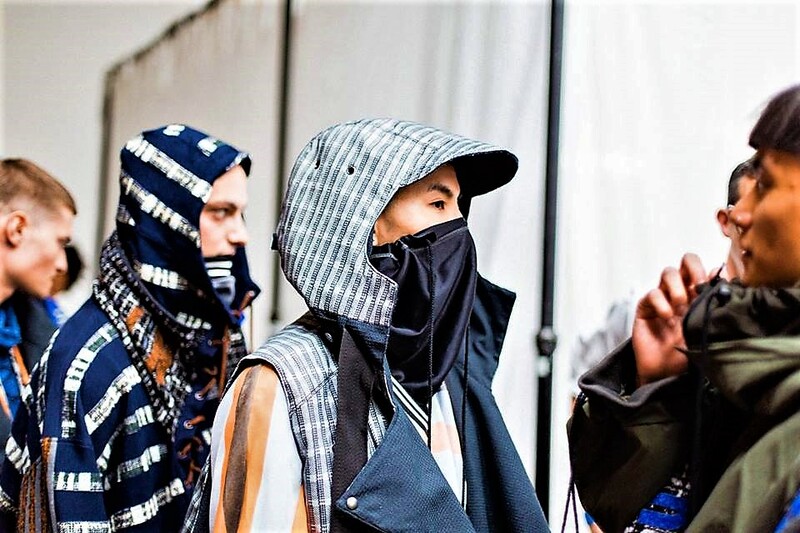 The young designer’s innovative idea to include digital versions of her woven fabrics on oil cloth and to combine them with the real thing, stresses how old and new techniques can compliment one another as the fashion industry continues to develop. It will be very interesting to see how this emerging talent herself develops within this changing industry. 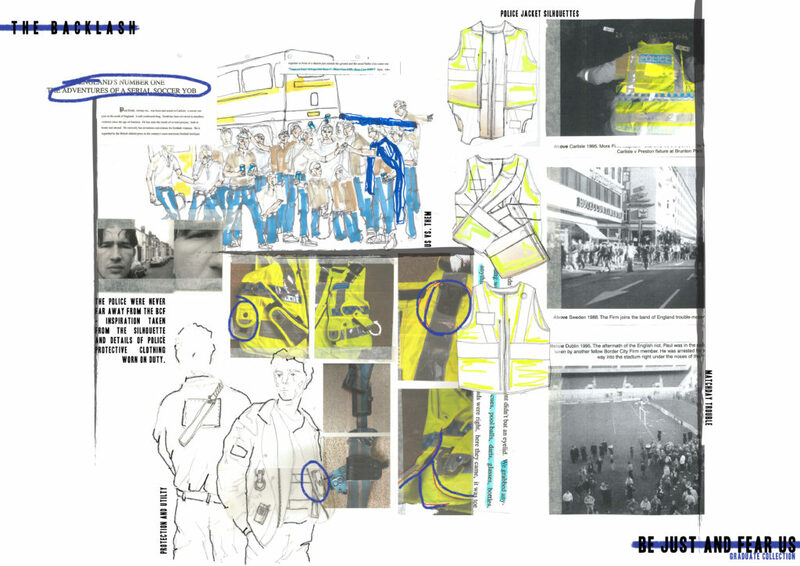 Sarah Rafferty, now a Menswear Graduate of Nottingham Trent University chose a very interesting concept for her collection; the divide of the world’s wealth, focusing in particular on the wealth of Wall Street. 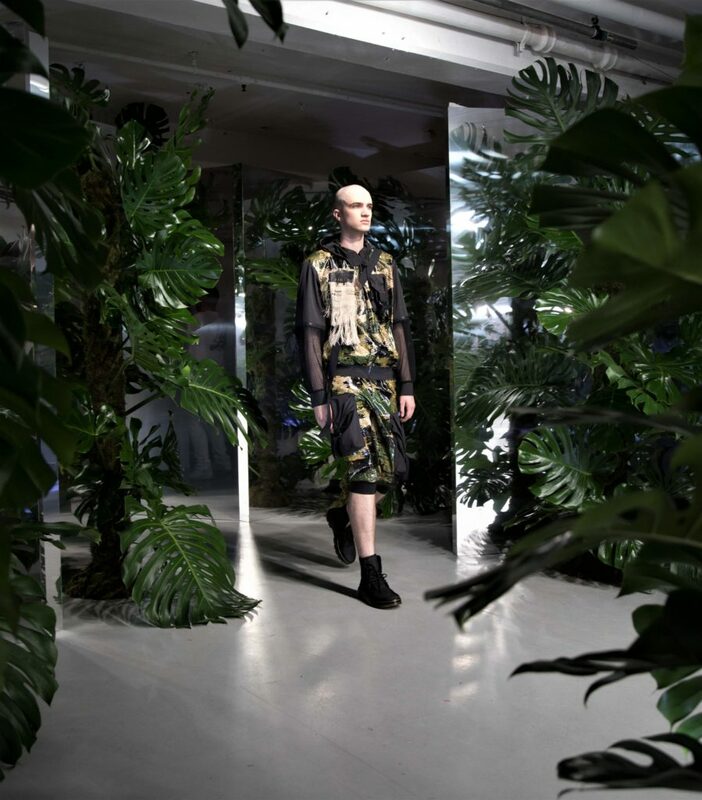 Sarah’s collection “Cassandra” cleverly incorporates various hard-hitting, powerful and provocative captions – printed as stripes onto fabrics, as taped seams, and in the form of vinyl on various garments. Pinstripes meet sportswear in this lineup. 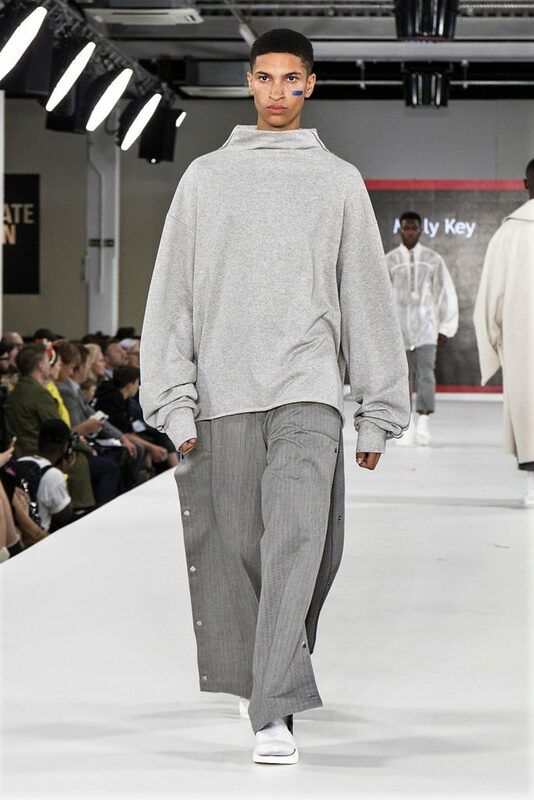 Joggers disguise themselves in an oversized, yet tailored way. Stripes sit on and among yet more stripes in a variety of directions. A seriously striking combination of looks, all are exceptionally powerful, on trend and yet timeless on their own accord. This comes as no surprise upon seeing her Instagram page, the feed shows off some of her fabulous portfolio pages that are artworks in themselves. 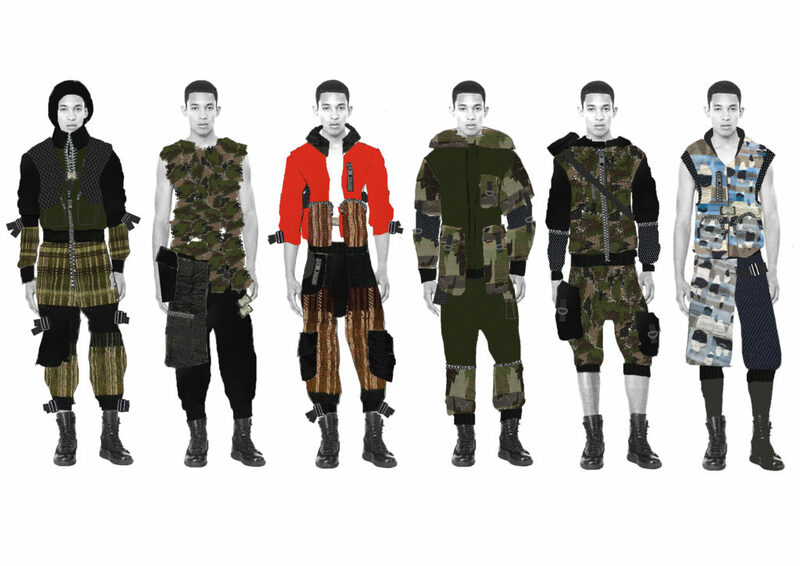 This incredibly sellable collection will undoubtedly be snatched up by the industry in no time! 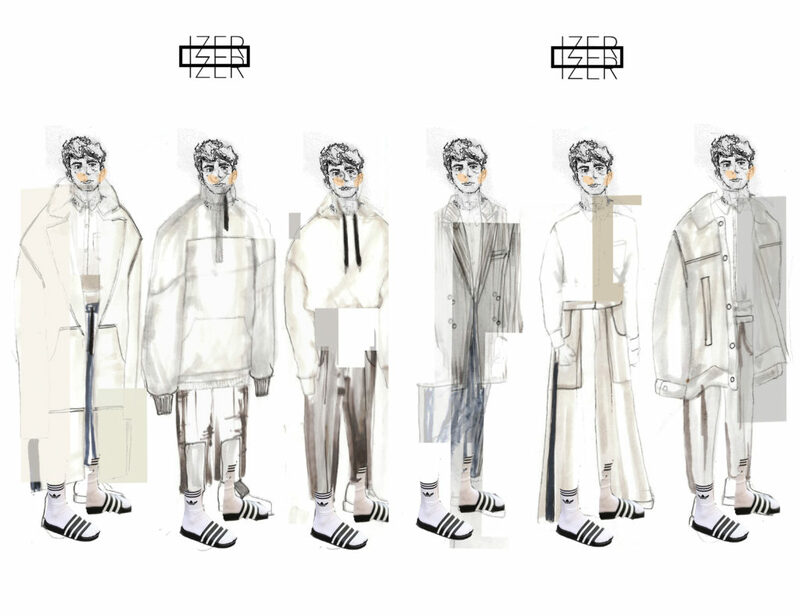 Molly Key, another incredibly talented Fashion Design Graduate from Nottingham Trent, also presented her collection, IZER at Fashion week. 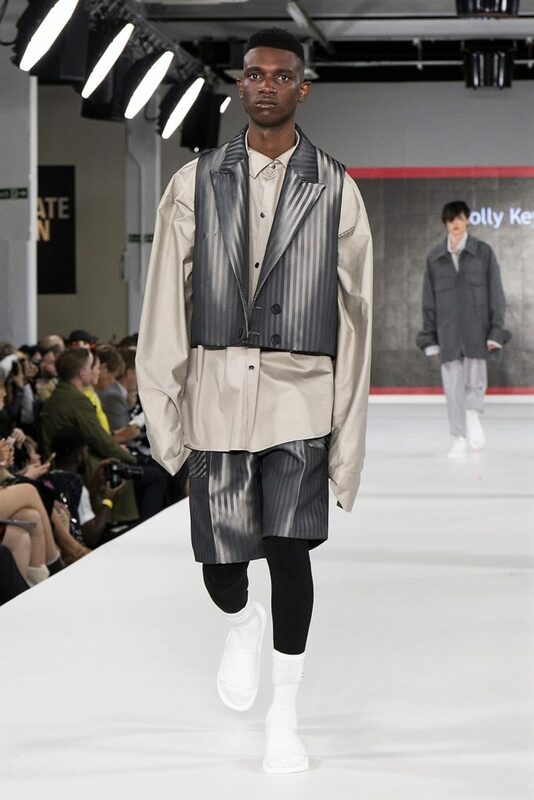 A perfect display of the modern day Gentleman’s style, her collection consisted of an exceptionally aesthetic colour pallet of greys and neutral tones. 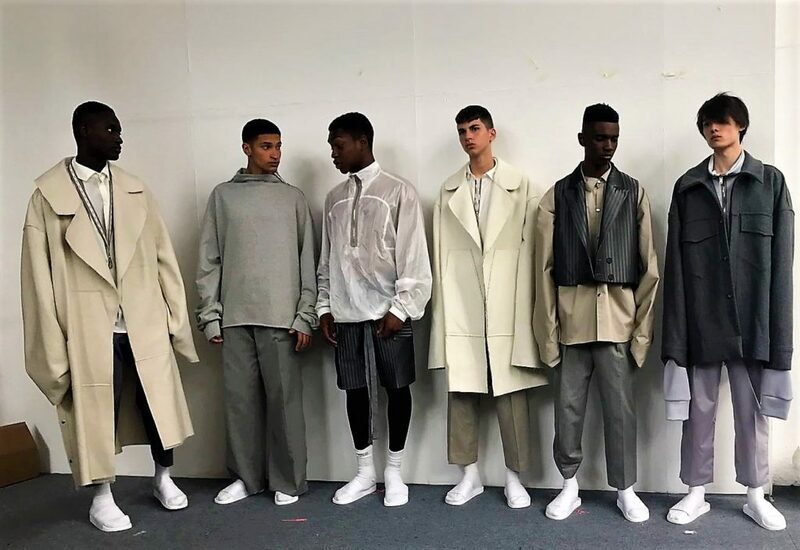 Combining tailoring with a sportswear twist, this lineup includes incredible attention to detail, presented in a subtly stylish way. 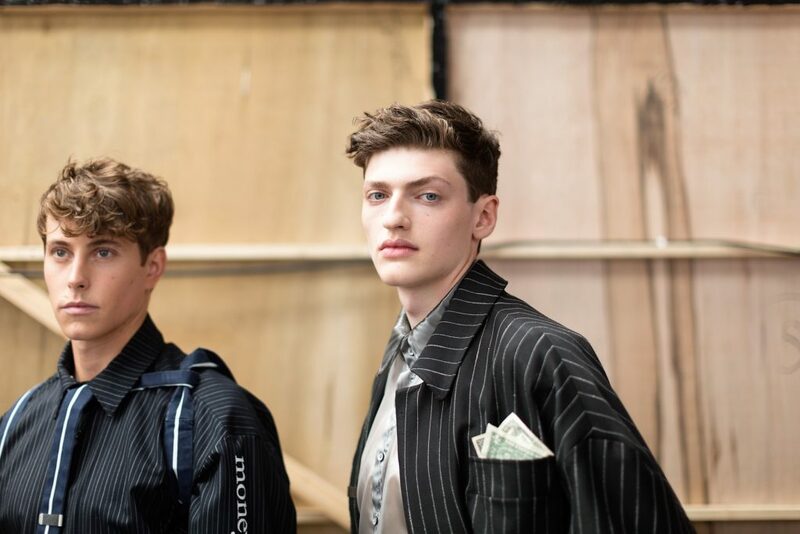 One look saw the use of herringbone fabric for a tailored jacket, finished fabulously with invisible zip pockets and a sharply cut collar. 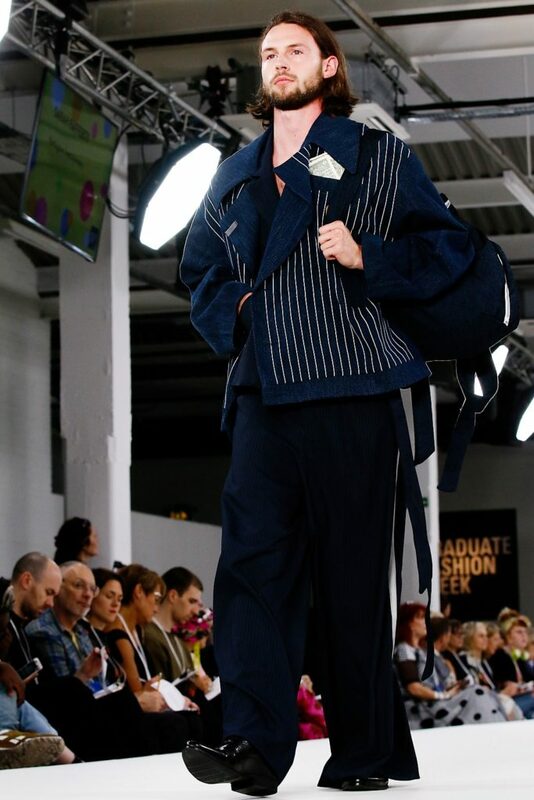 Oversized pockets and raw edge lapels in wool fabrics also feature in this smart, yet exceptionally wearable collection. 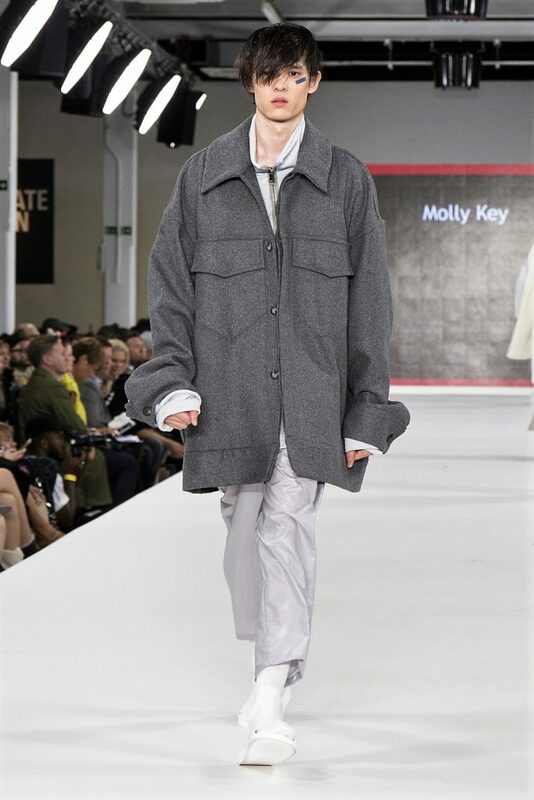 Molly has also used ripstock fabric in a visually appealing and on trend way within this collection which is usually incredibly difficult to achieve. Is it a shirt or is it a jacket? Who knows… but we love it! 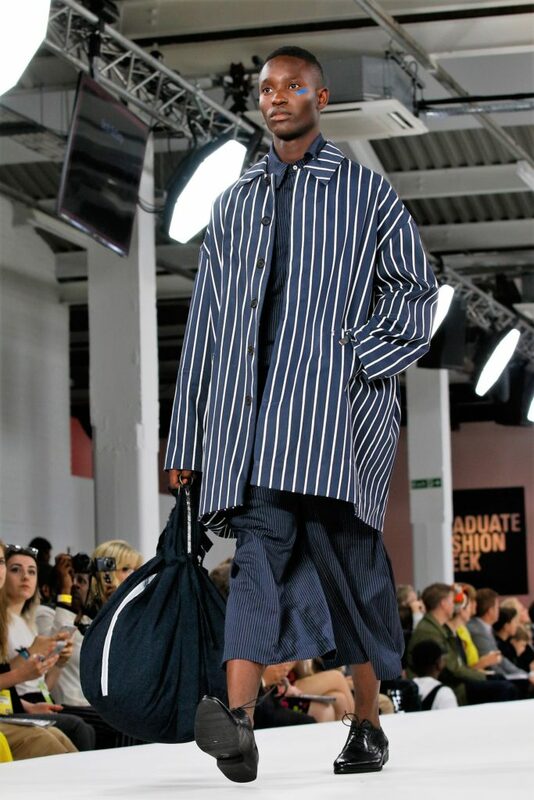 The football hooligan was another unusual but highly relevant concept that featured on the graduate fashion week catwalk. 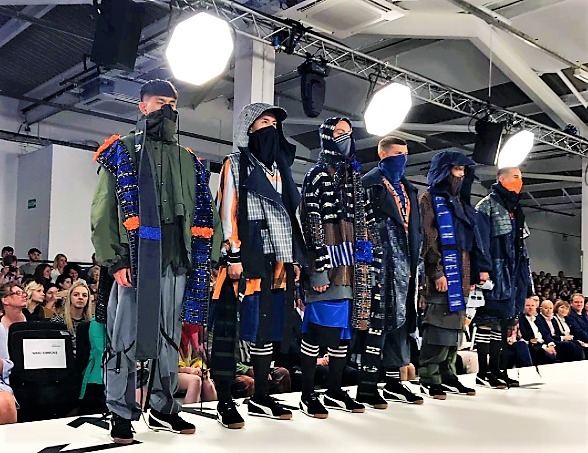 The clever collection by Kate Alexander, Menswear Graduate from Northumbria University features looks individually inspired by goalkeepers, police, football players and fans. A favourite piece of ours is the Scarf Coat made from ventile, featuring a lazer cut linton tweed scarf (a stylish reference to football scarves), and bright accent panels of ragging. 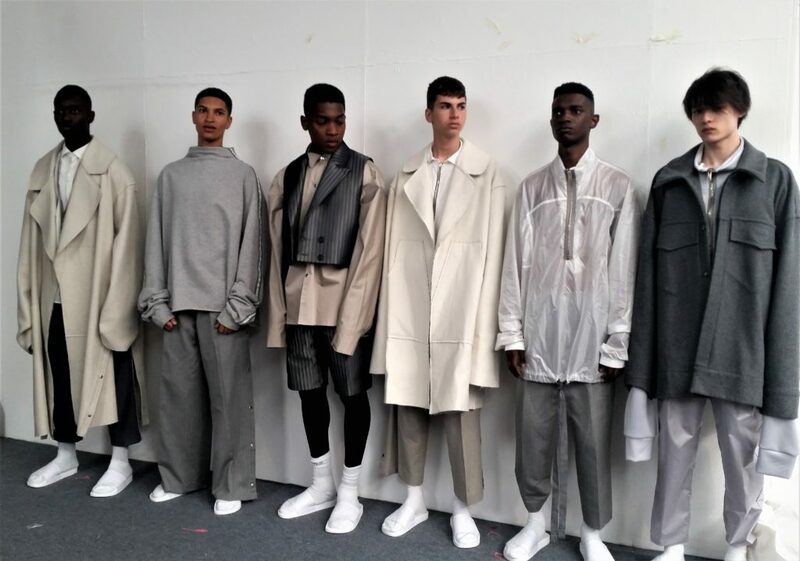 The jacket also has long drawstring sleeves and utility pockets on layered panels creating a very interesting yet wearable garment. 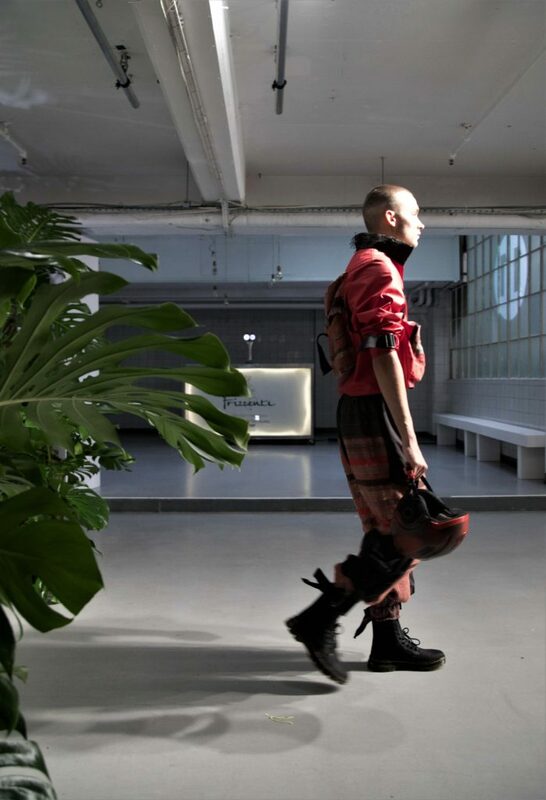 The attention to detail of this collection is admirable and perfectly executed. Goal- net overlay panels, patchwork, lacing and vented hoods are just a few of the original ideas ingeniously incorporated into the collection. 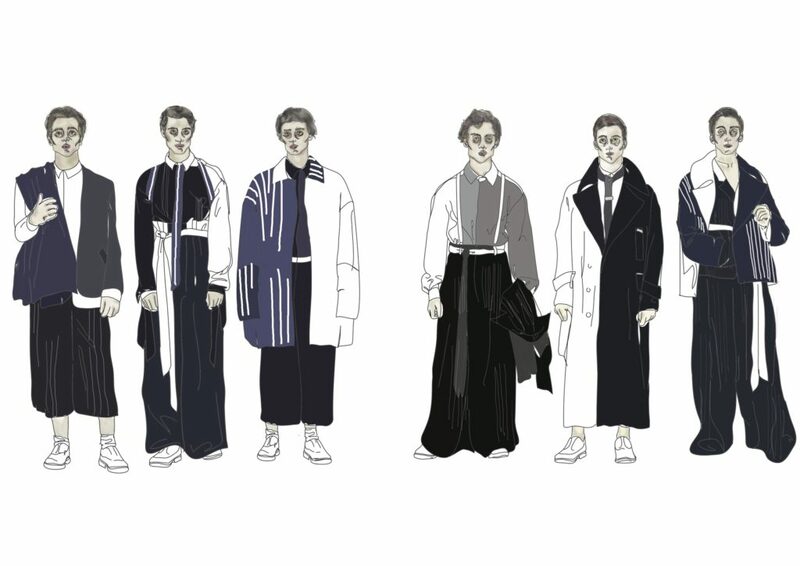 There is no doubt that these garments would fit fantastically on FARFETCH. 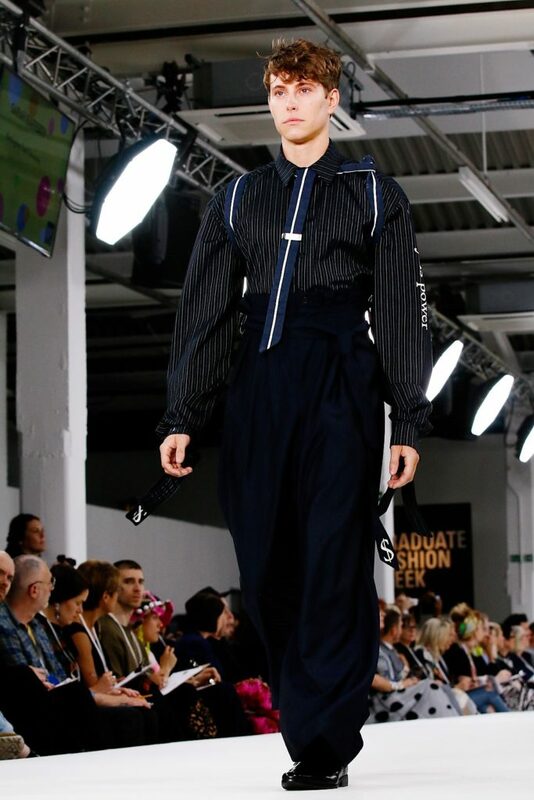 The work being produced this year is of the highest calibre and the campaign is truly extraordinary, reflecting the talent on show at Graduate Fashion Week,” said managing and creative director Martyn Roberts.